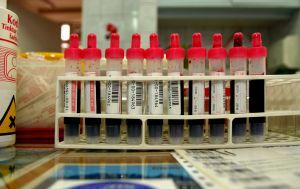 Will DUI Blood Tests Become Mandatory In Maryland? Compulsory or mandatory blood tests during the course of a DUI investigation have been a hotly debated legal topic over the last decade. The debate over whether cops should legally be able to force a DUI suspect to submit to a blood draw to measure blood alcohol level has been debated in Maryland, Delaware, and in almost every state in the county. Twenty years ago it would truly have been far fetched to predict that a state could one day grant its law enforcement officers the power to force a DUI suspect to submit to a blood test without a warrant, but now this idea is becoming a reality. Many Maryland beachgoers who happen to cross over into Delaware can find out the hard way about this harsh law. In Delaware, a police officer may require a DUI suspect to submit to a blood alcohol test if he or she refuses to take a breath alcohol test. Typically, an EMT will be called to the scene of the DUI and instructed to take the suspects blood, or the blood draw can occur in the police station. Delaware law does not require that the DUI involve an accident or a serious injury to anyone involved in the DUI. Delaware law also does not require that the arresting officer or any officer obtain a warrant before requiring a blood alcohol test. There have been countless incidents of Maryland residents being arrested for DUI in Delaware, especially in the summer months when Marylanders flock to beach towns such as Dewey and Rehoboth. Many times these Maryland residents try to invoke their right to refuse a breath or blood alcohol test, only to be informed (and many times rudely informed) that this is only a right they can exercise in Maryland. There has been a great deal of opposition to this Delaware law, as civil liberties advocates argue that the law is a clear cut intrusion of a person’s constitutional right to privacy and right to be free from unlawful search and seizure. On the other hand, the law is supported by law enforcement, and anti DUI lobbyist groups such as MADD. Both sides might soon be making this argument in front of the United States Supreme Court, as mandatory blood draw for DUI have caught the attention of the country’s highest court. If the Supreme Court releases a ruling on the constitutionality of the Delaware law, there is a good chance that Maryland DUI testing laws may be affected as well. Maryland law currently prohibits law enforcement from requiring a DUI suspect to submit to a blood alcohol test unless certain conditions are met. The police must seek a warrant for a mandatory blood draw in cases involving death or serious bodily injury, and must show that the blood alcohol test is necessary because other means of obtaining a suspects alcohol content were not possible. A DUI blood draw is a highly intrusive procedure, and for now Maryland law protects against police from making this intrusion. But Maryland law may be headed in the direction of the Delaware law if the Supreme Court decides to rule that mandatory blood draws in all DUI cases are constitutional. 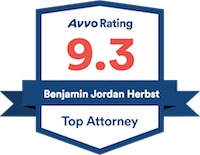 Benjamin Herbst is a Maryland DUI lawyer. If you or someone you know has been arrested for DUI or DWI in Maryland, contact The Herbst Firm for a free consultation. U.S. Supreme Court to Review DUI Laws, wboc.com.